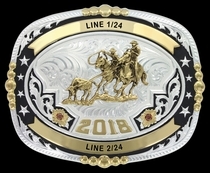 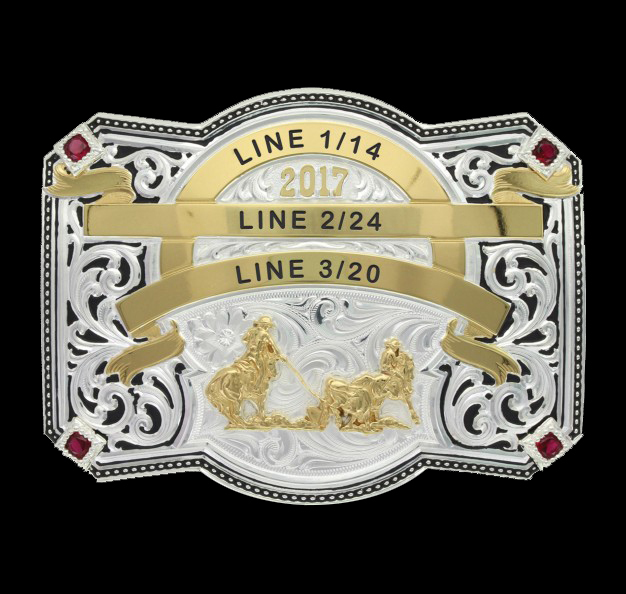 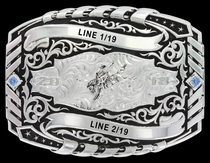 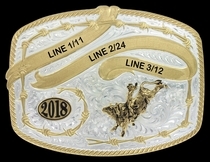 A distinct buckle with three gold finished banners for a message of your choice with a figure of your choice below them. 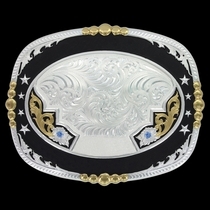 Bright cut silver filigree on the sides is accentuated by hand applied black paint with four square ruby colored stones at each corner with a fine stitch like trim highlighted with hand painted black. 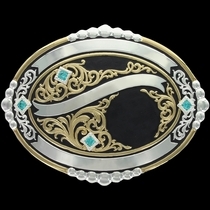 Standard 1.5 inch belt swivel.